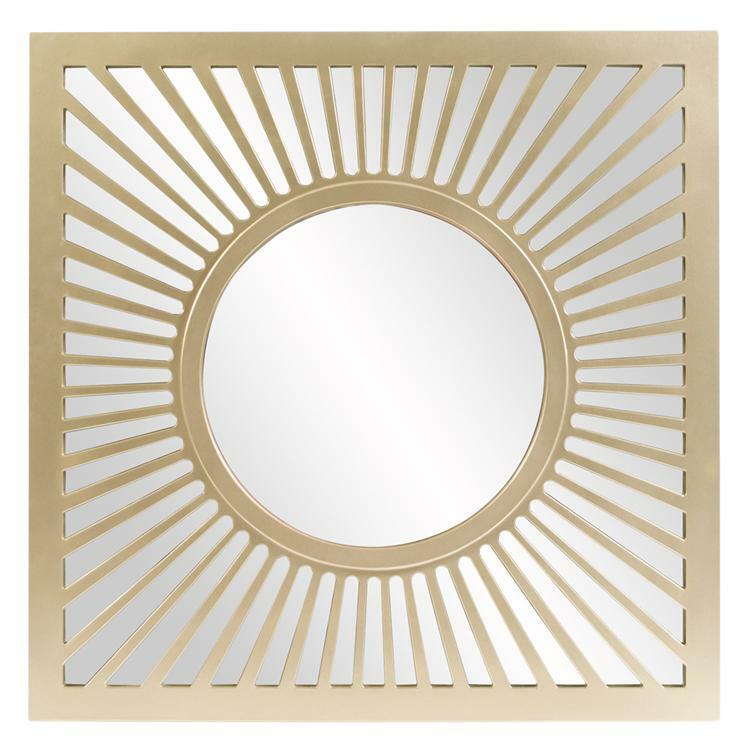 The Zapata Mirror features square, wood frame. Inside of the frame is a round inner frame. Connecting the inner frame to the outer is a radiating sunburst pattern set on top of the glass of the mirror. The entire piece is then finished in champagne silver. This stunning piece would be a great addition to any design. Customizable for larger orders.